Some models of WC cisterns are drilled for close coupling bolts. They do not use a plate system to join to the pan. This pair of bolts is suitable for all drilled close coupled cisterns. 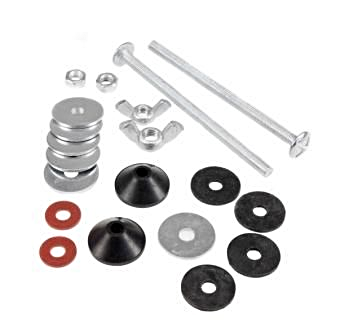 A complete kit comprises of long bolts, washers and wing nuts. Only supplied as complete kit - items not available individually.